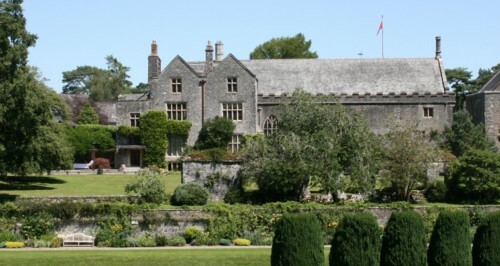 The first European Transition Design Symposium will take place 17-19 June, 2016, at the historic Dartington Hall Estate located just outside the town of Totnes in Devon, England. It will bring together leading designers, educators, environmentalists and activists working, writing and researching on transition-related issues to explore the potential of Transition Design. Transition Design argues that rapid societal transitions to sustainable futures are the most important challenges of the 21st century and that design and designers have a key, and yet unrealized, role to play in catalyzing and shaping these transitions. Transition Design calls for the reconception of entire lifestyles and societal infrastructures (policies, energy resources and food, health-care and education systems) to be sustainable and convivial. It focuses on the need for cosmopolitan localism, a lifestyle that is place-based and regional, yet global in its awareness and exchange of information and technology. Transition Design brings together ideas and concepts about change itself; how it happens and how it can be catalysed to lead to positive societal and environmental transition. Transition Designers come from all walks of life and leverage the tools and approaches of design to create systems level change. The Symposium is limited to 50-70 participants so early booking is encouraged. The Symposium is jointly organized by Schumacher College, UK and The School of Design at Carnegie Mellon University, U.S.A. with support from Plymouth University School of Design, Architecture & Environment, The Dartington Hall Trust, The New Weather Institute and The Centre for Global Political Economy at The University of Sussex. Read more about the Transition Design Symposium.